Last month was July, which for anyone involved in medicine (either as practitioner or patient) means a whole lot of disruption as a massive influx of new med school graduates arrive in hospitals to begin their residencies. 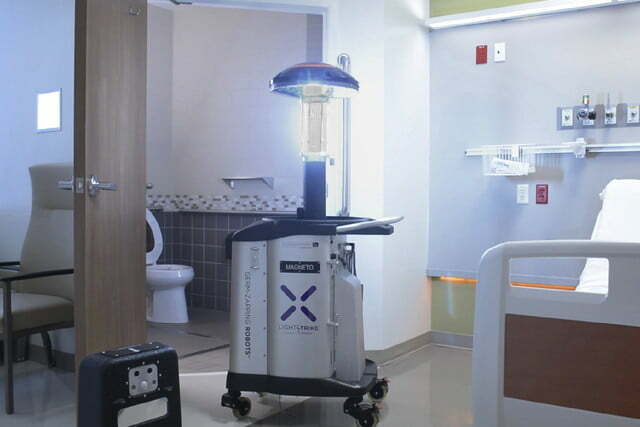 Saint Peter’s University Hospital in New Jersey has received a different sort of new arrival, however: An R2-D2-style robot that is designed to zap bugs with ultraviolet (UV) light to keep it germ-free. 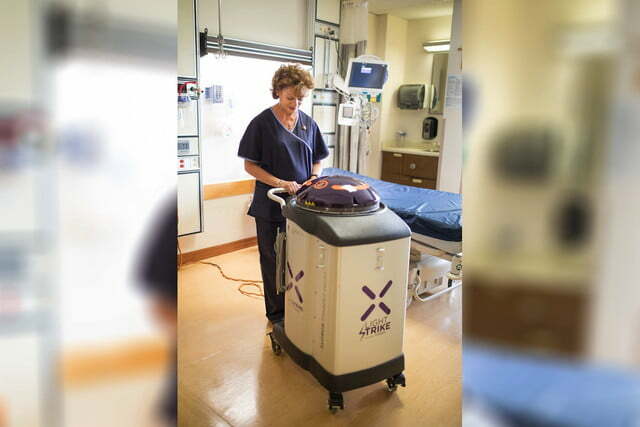 The $125,000 robot is brought into a room by a hospital environmental services (EVS) team member, after the room has been cleaned using traditional cleaning methods, such as wiping down surfaces. 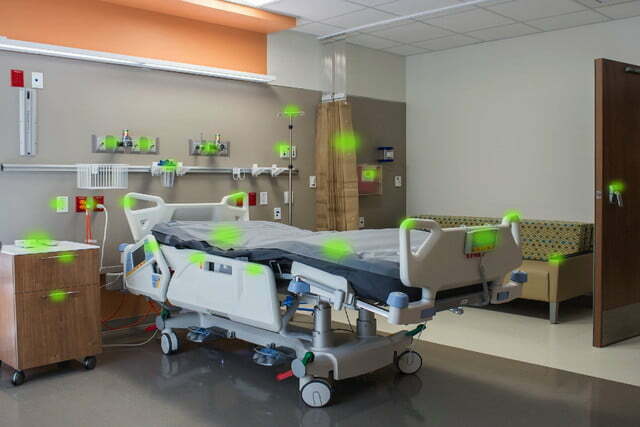 Studies show that less than half the surfaces in a room are correctly disinfected in between patients. One reason for this is the lack of time — even for a diligent cleaning person — to get into all the crevices in a room where pathogens may be lurking. Unfortunately, nasty bacteria like C.diff has the ability to surface for up to five months, while a number of the microorganisms which cause infections are becoming resistant to cleaning chemicals. 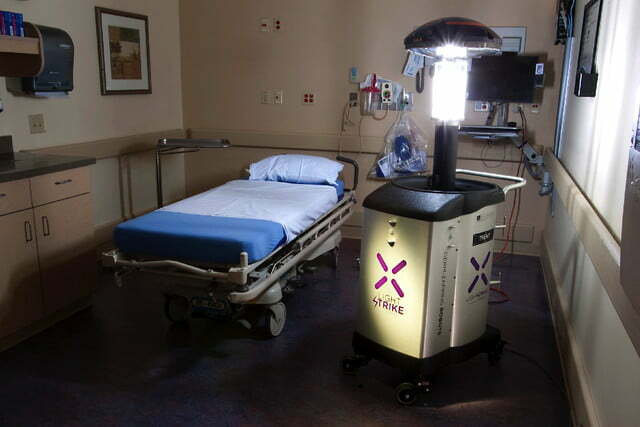 Once the robot is in a room, it scans it to make sure no one is present, then begins pulsing germicidal ultraviolet C light, which directly damages the DNA and structures of bacteria and viruses, leaving them unable to replicate and cause infections. 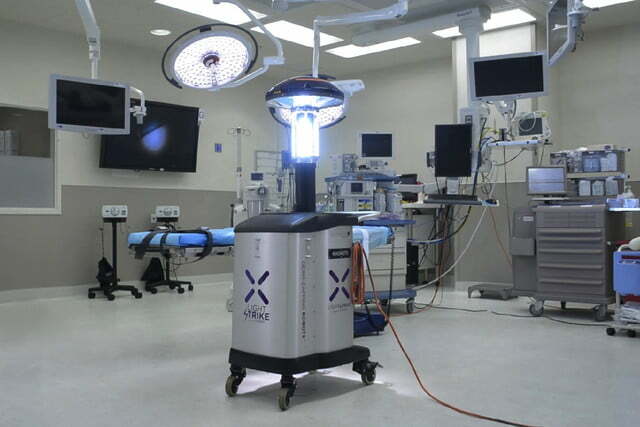 Stibich says that currently more than 400 hospitals, surgery centers, long-term acute care and skilled nursing facilities around the world are using pulsed xenon UV LightStrike robots to disinfect their facilities. We don’t know about you, but suddenly our Roombas seem a bit inadequate by comparison.